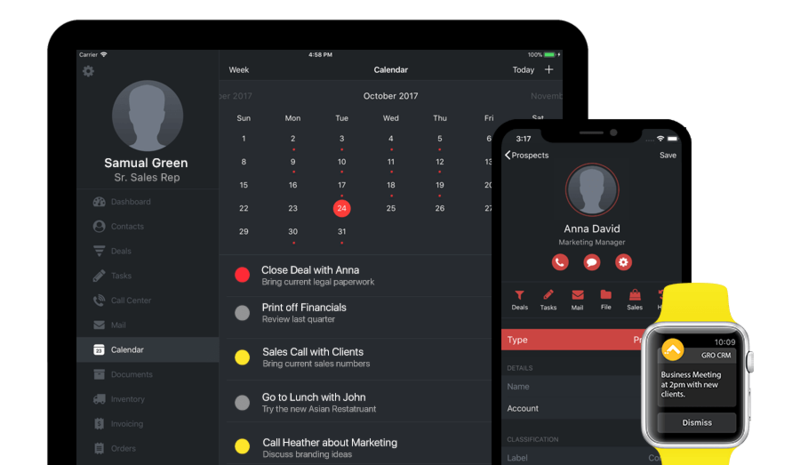 We integrated our tasks and our deals so you can just add items to your calendar when you need to. Just slide the Add to Events switch and set the details and it will appear on your calendar! Our calendar can be displayed in month or week view. Easily see what events are on your agenda for today, or move the calendar forward and see what's on your schedule in the future. OMG! "I forgot my 9am meeting!" Has this ever happened to you? We know it has! With Gro CRM, you can set reminders so you never miss an important event again.